List Rules Vote up the best tasting crab species whose carcasses you want to pick clean. Do you like crab? Do you like eating crabmeat? This is a list of the best kinds of crabs to eat. Go on and vote for your favorites! Crab meat is among the very best seafoods, and it is fun to eat crab claws, legs, and bodies. Some crabs have long, creepy, spidery legs and pincers, and other ones have little stubby legs that are not threatening at all. What is your favorite kind of crab to order at a crab restaurant? 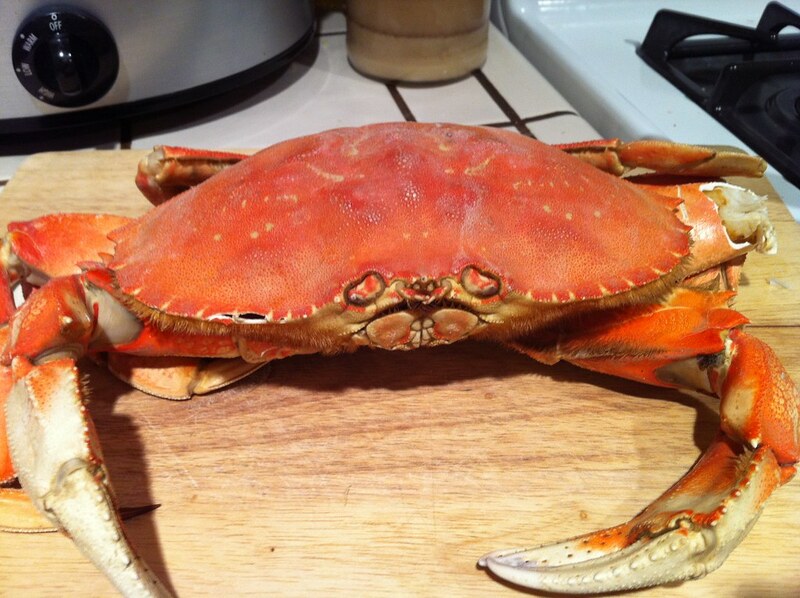 While many folks opt for the king crab legs, others are into Dungeness crabs. Blue crabs are a treat because you get their entire bodies and then snap them right in half and peel apart their insides. Talk about a food adventure! Takes a little work, but totally worth it. Do you like to eat soft-shell crab? It's really not a type of crab so much as a crab that has only recently molted so its skin is soft and you can eat it - but don't worry, it is still on this list. What can you do with crab meat other than eat it straight from the carcass? Well, you can make crab cake, Crab Louie, crab cocktail probably, or maybe you can pay like $16 extra to have lump crabmeat added to your salad. The possibilities are endless! 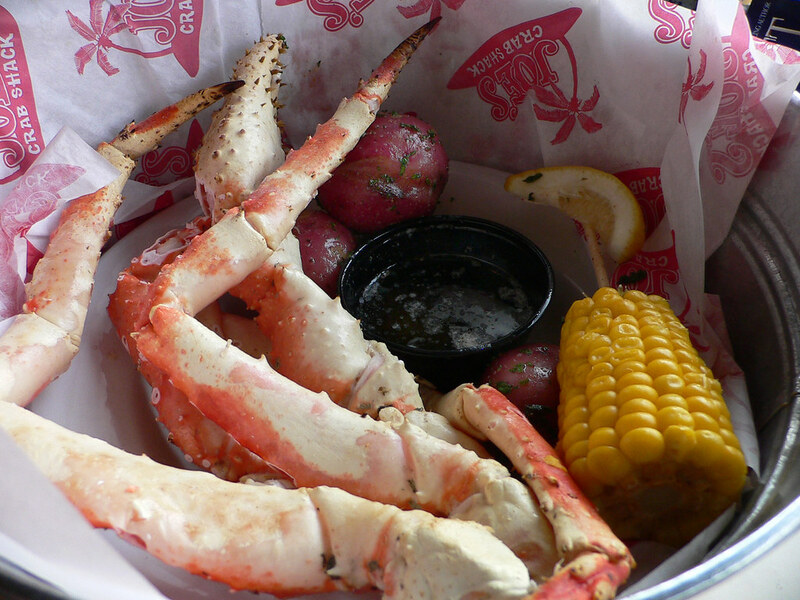 Crab legs are nice steamed or prepared other ways, like being grilled, baked, or fried. If you play your cards right, your crab dish might come with a little chunk of corn on the cob, a few new potatoes, and maybe even a sprig of parsley! Then you can pull out the crab's meat and eat it. What if the restaurant has given you a thing that looks like a nutcracker? That is so you can break the crab shell! Or sometimes, you might even get a mallet. Just be careful not to get carried away as you dissect your crab, or you might end up with pieces of shell in your mouth or skin. Oh boy. Vote up your faves. Also, be sure to visit this other list to vote for your favorite seafoods. A sweet, easy staple at all-you-can-eat seafood buffets. Fished from both North Atlantic and North Pacific Oceans through the cold months of January through April. Four walking legs plus a claw arm are sold in clusters and easy to snap and eat without any tools. Delicious, bright white meat, but notoriously difficult to coax out of the hard, spiny shell. The largest crab species is fished from October to January in Norton Sound, Alaska, and the Bering Sea. Use a cracker on the tough, spiny leg clusters to access long, thick spears of meat inside. Succulent, sweet, tender, and flaky. Marketed year-round, but harvested from late fall to late spring, from Alaska down the West Coast. One whole crab - heated and cracked, served simply with butter or dipping sauce - can feed 2 people. Delicious salty sweetness, but only after considerable effort. Fished along the Atlantic coast, particularly the Chesapeake Bay, and the Gulf of Mexico from April through December. Blue crabs are usually steamed and served whole (and, in Maryland, with Old Bay seasoning). You must basically dissect the whole carcass yourself, removing claws, legs, gills, and other viscera before snapping the entire body in half to pick out the meat.